Your home is one of the biggest investments you'll make in your lifetime. Why not keep it at its best with professional home exterior maintenance? Emerald State is not your average Kirkland roofer. Aside from being certified roofing experts, our team of professionals are trained and skilled in every aspect of exterior home maintenance. Whether your home is brand new or 100 years old, Emerald State knows what it takes to keep it in great shape and looking its best. 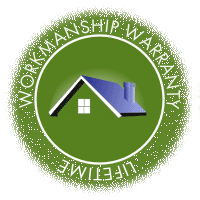 As the area's premier exterior maintenance professionals and master roofers, Kirkland's own Emerald State consistently delivers quality workmanship and exceptional service. 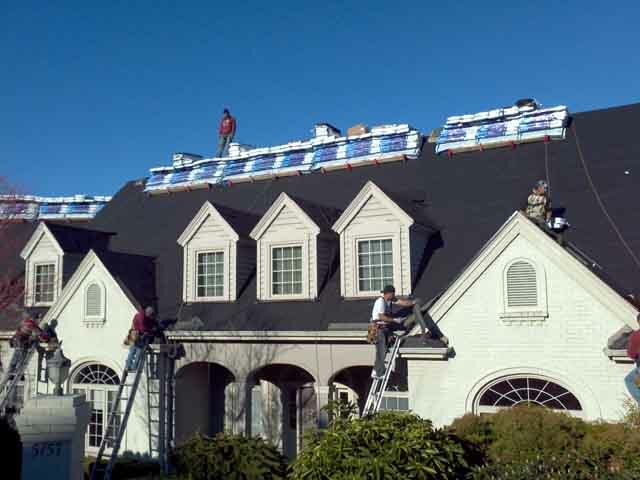 But aside from our commitment to quality, what sets us head and shoulders above any other Kirkland roofing companies is our meticulous attention to detail. For instance, among our many services, we provide exterior painting. However, we know that exterior painting is not just about spraying a coat or two of paint on the house. In order for the job to look great and last for years to come, it has to be done right, and that includes a host of details. before the paint is applied, we prep every corner and crevice of the house, scraping and sanding, patching and priming to make sure the surface is ready to accept a new coat of paint. Then, after we're done with the scraping and sanding, we do it again to make sure every inch has been properly prepared! Before we apply a drop of paint, we make sure the surrounding area is completely protected, so you don't end up with paint splatters on your lawn and patio. Then, as with all our other materials, we choose only the highest quality paint, and we apply multiple coats to give it the best finish possible, making sure the color will last. When the job is done, our prompt and courteous professionals will clean up the area, never leaving you with a mess. Kirkland Roofers Compared from Emerald State on Vimeo. At Emerald State we apply that same attention to detail in all our projects. Why? Because we believe in exceeding our customer's expectations. 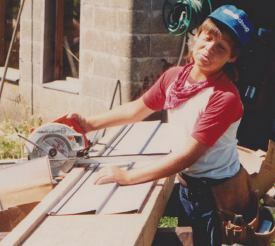 Todd Sinicrope, the owner and operator of Emerald State, comes from a long line of roofers. Kirkland is his home, and his customers are also his neighbors. He believes in the old fashioned principals of honesty and integrity, and in treating people right. Emerald State was founded on those principals. 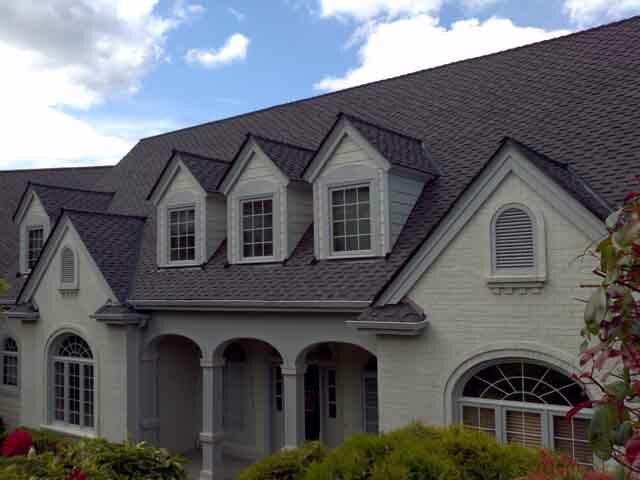 Whether we're your window replacement installer, siding contractor, or composition roof roofers, Kirkland residents can count on our commitment to quality and customer satisfaction. If you're not happy, we're not happy, and we'll do everything in our power to make it right--you have our word on it! Feel free to contact us any time to learn more about our services or to request a quote on any exterior project you have in mind. Your home deserves the best and that's exactly what Emerald State does as your Kirkland roofers! Need other exterior services? Emerald States crews are also Kirkland window contractors. Nailing shingles to the sheathing properly can make the difference between a roof that lasts and a roof that leaks. 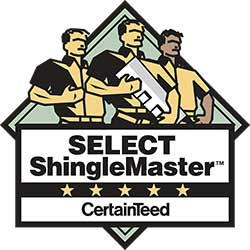 Shingle manufacturers require that nails be nailed straight in and flush with the surface of the shingle. Nails that are nailed too far break the surface of the shingle and cause damage and opportunity for leaks. Nails driven at an angle or insufficiently deep cause lifting of the shingle above, potential damage to the shingle above, and possible failure of the fastening of the shingle. It is important to use proper corrosion resistant roofing nails, typically at least one inch long (longer for architectural shingles) in 11 or 12 gauge with a minimum of a 3/8 inch head. They must be nailed 4 to a shingle for a standard slope roof and be placed in the nail strip area. Roofing manufacturers can have specific guidelines for the types of nails used, and using the wrong kind of nails or staples can void your warranty. Ask your Kirkland roofers what the details are for the materials you are considering. High slope roofs require special caution as the shingle's weight has more of an impact on improper fastening. Typically, the nail strip is much narrower for high slope roofs and the shingle will likely require as many as 6 nails per shingle and roof cement to affix the tabs to the layer below. It is easy for someone that is lazy, untrained, or just cutting corners to nail shingles incorrectly leading to premature failure. An untrained or inexperienced worker wielding a five pound pneumatic nail gun is likely to get winded and careless, placing nails outside the nail strip or at an angle. A worker using a hammer is likely to tire and nail insufficiently, or at an angle. Finally, a worker in a hurry (paid by the shingle?) is likely to miss nails, nail inadequately or skip steps. 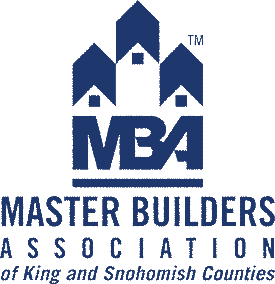 Make certain that you understand how the Kirkland roofers you are considering chooses their team, how they work together, how they are supervised and lastly how they are compensated. Kirkland roofers can easily obtained unqualified workers, on the fly, if they are willing to cut corners. 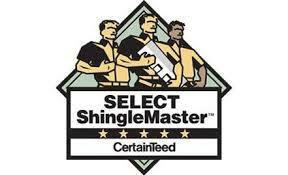 This means it is extremely important to hire a company that is composed of certified roofers. Customers can count high caliber roofing contractors, like Emerald State, to get the job done right. It is easy to roof correctly but it is even easier to do it wrong.